Your child can navigate twenty charming mazes in an engaging and child-friendly setting. 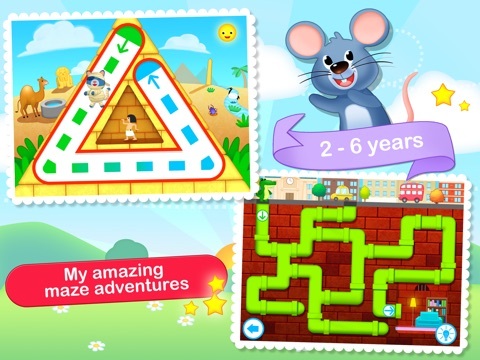 Toddler Maze 123 is a high quality app kids will enjoy. 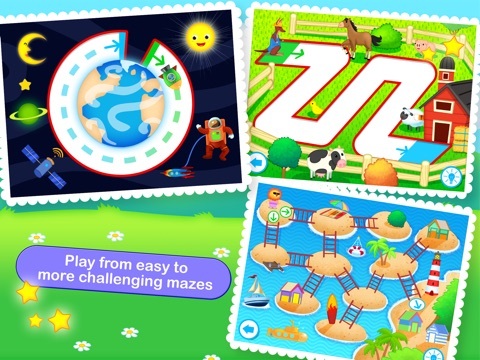 Twenty mazes designed for young kids progressively become more difficult. An optional hint button is available to guide the way. Mazes are not timed. 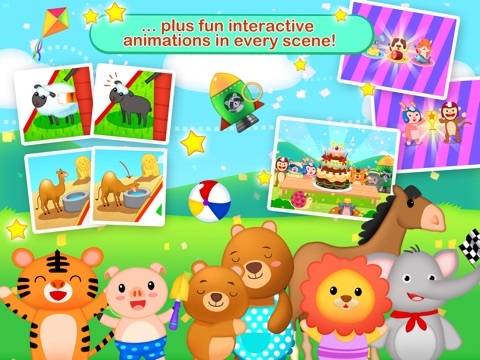 This is such a happy app with its bright colors, adorable characters, and cheery music. Each maze takes place in a different setting; some below ground and one so far above ground it requires a rocket. Lightly animated objects are included in the scenes. Upon completion of each maze a congratulatory screen appears for a short time. Completion of all mazes receives an even larger celebration. The mazes are reset after the final celebration screen; however, the mazes can be replayed any time before that. All of the mazes can be printed; for example, all twenty can be e-mailed as one pdf to be printed out in hardcopy. The twenty mazes are broken down into sets of five, with each set becoming just a little more difficult than the previous ones. 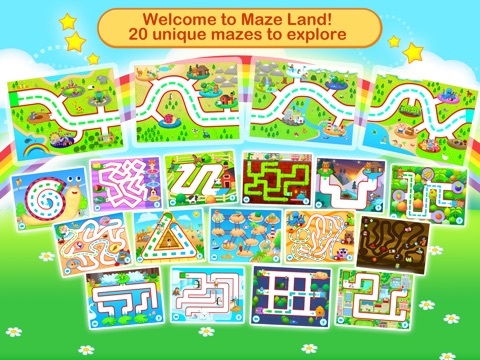 It might be nice for the more experienced or older kids in the targeted audience to have access to all mazes so that they can choose which to play. This same comment applies to the resetting of all mazes upon completion of all twenty. Older kids may get frustrated having to complete the mazes in the beginning which are designed to be very simple. While there are definite educational benefits to the app as it is, adding additional age-appropriate learning objects such as colors, letters, numbers or shapes would increase the star rating for education. Kids are not likely to get bored with this app. 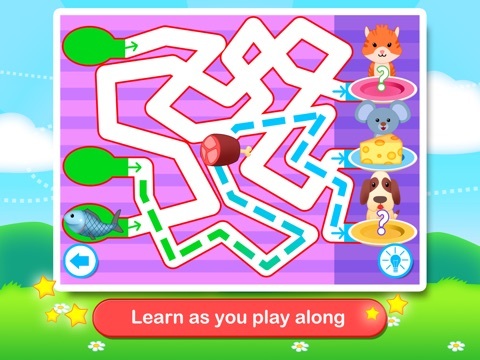 It includes twenty mazes with different backgrounds and characters, plus additional interactivity. After a maze has been completed, it can be repeated as many times as the child wants until they reach the final celebration screen. This excellent app is a great value at its current price. I like that all of the mazes are available with the initial download and that the mazes can be printed without having to purchase anything additional. The app interface is super easy for little ones to use. Just show them how to the move the car on the map to move from maze to maze and they will soon be on their way. The same concept is used for moving through the mazes whether you are the alligator in the sewer system, a hippo jogger rounding the track, piloting a rocket, or are an island hopping lion. The Settings and More Apps buttons may attract your child’s attention; ideally these would be moved into the Parents menu or protected in some manner being they contain external links and social media buttons. The app does not contain in-app purchases or ads.